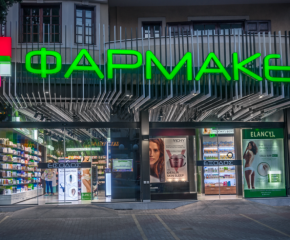 QPROJECT was invited to study and construct the new pharmacy of Mrs. FOTINI SFAKIANAKIS in Thrakomakedones, with a total area of 175 m2, developed on the ground floor and mezzanine. Our primary aim was to deliver a functional store, thus we created a friendly and “warm” environment, using heterogeneous materials such as metal and glass. Those materials are considered by nature “cold-materials”, but with the suitable design and implementation they provide for a "vintage" aesthetic. The use of wood in classic-simple lines, such as in beams, shelves and display windows, gives a timeless result. 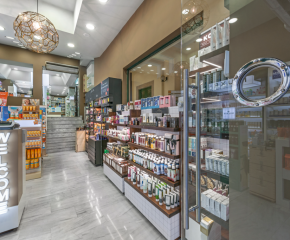 The earth-color palette combined with the metallic elements and the carefully chosen lighting, complete the idea of a very special and innovative pharmacy store.